This post will begin a several article attempt to explain the last few years’ controversy about the publication this last year, of the long awaited, DSM-V manual of the American Psychiatric Association. This book unknown to persons outside the “mental health professions” in the Western and many other parts of the world, is a mystery. Yet in the media in many countries for the last 2-3 years especially, there has been almost the hoopla associated with the anticipation of the early adopters of some tech company’s latest gadget, computer, or smartphone. The title is not easy to understand either. 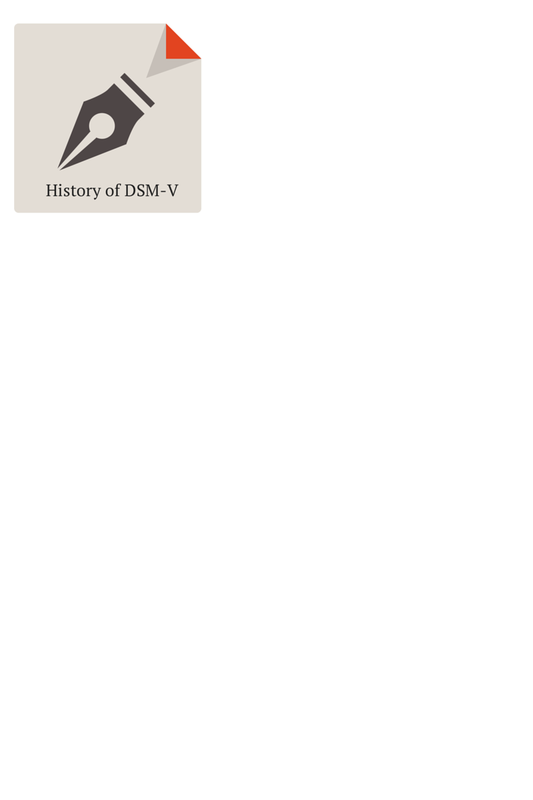 “DSM” stands for “Diagnostic and Statistic Manual.” Years ago as a psychiatrist, when I was first introduced to this mandatory tool of my trade, I thought to myself that the title certainly discouraged opening and reading the book. Talk about boring and authors/publisher going out of their way to not “hook” the readers’ interest! It certainly did not live up to the interest kindling title in the 1960’s of his Yippie leader, Abbie Hoffman, Steal This Book that set the new standard for unforgettable book titles in those wacky times. In the early days of modern psychiatry, beginning after World War II, the mental health field was peppered with several different systems for naming and classifying (diagnosing) mental illness conditions. Medical groups tended to use the Standard Classified Nomenclature of Disease, while the Veterans’ Administration Hospital system, then growing at a phenomenal rate in size and importance because of the hundreds of thousands of WWII veterans needing treatment medically and psychiatrically, used another. Within a few years after WWII, the American Psychiatric Association saw the need for a unitary, standard, universal common system of naming and describing mental illnesses so that everyone would speak the same language. This developed against the long standing historical backdrop that in Europe and the United States, since the late 1800’s psychiatrists in asylums, had spent decades developing many schools of description and diagnosing from the psychoanalysts trained by Freud’s circle, to the “alienists” as psychiatrists working in public “state hospitals,” seeing mostly the chronically psychotic patients, were called in those days. For instance, Eugen Bleuler of Switzerland and Emil Kraeplin of Germany had two different systems of classifying the two major psychotic illnesses, schizophrenia and manic-depressive psychosis. During the week of September 22-28, the Governor of North Carolina, Pat McCrory, and winner of the Gov. Rick Perry Talk Alike Contest, made the remark that North Carolina has too many journalists, and I quote: “We’ve frankly got enough psychologists and sociologists and political science majors and journalists. With all due respect to journalism, we’ve got enough, We have way too many.” The Governor was “reportedly” offering his views on career options facing present and future workers. The Governor went on for some reason to buttress his reasoning with the additional riposte that his economic policies were “too complex for the journalists.” [Source: The Charlotte Observer, http://www.charlotteobserver.com/2014/09/28/5203770/too-many-journalists-in-nc.html, September 28, 2014]. This naturally brought forth howls of protests from wounded journalists and huzzahs from the crowd that wishes to ship all intrepid, nosy, bothersome reporters and paparazzi off to North Korea “where they would have a lot more material” as one political wag and sarcastic friend of mine declared. All this got me to thinking. The Governor could be starting a “How much is enough (or too many) campaign” to carry him for three more years in North Carolina. By way of explanation, in North Carolina, the gubernatorial elections are held in the off year, the year after the national Presidential elections. For instance, the next Presidential election will occur in 2016 while North Carolina’s Gubernatorial Election would be in 2017. Apparently this was decided political eons ago so that the campaign backers and Super PAC funds would be so broke that North Carolinians would not have to hear the non-stop headache-inducing political ads that are descending on us now. So the Governor of North Carolina is starting early with a few test issues and you can never start too early in political campaigning. As a physician I thoroughly disagree with the growing trend to legalize marijuana and dispense it in states already such as Colorado and California. I already know from contact with drug abusers that I see in treatment that the predictable is already happening. Abusers and suddenly taking ‘vacations’ to Colorado, finding the underground network that supposedly hooks them up ( I can’t resist that ironic pun ) with MDs who for a fee reportedly will write a prescription for vagaries such as fibromyalgia and enable the person to obtain “medical marijuana.” I like many others predict that Mafia and other powerful crime organizations will, if they have not already started to do so, move in on the dispensaries and enter this new arena of potential drug trafficking. ERs in the areas of medical marijuana dispensary concentration will see a rise in visits related to problems with the so called “medical marijuana.” After all the enterprising marijuana growers since the days of the Vietnam war are no dummies and have been using old fashioned simple Mendelian genetic crossbreeding practices to increase the potency of modern marijuana to 10 to 20 times the concentrations of THC in the new varieties. So the cases of emergency room walk in’s psychotic from the new “medical marijuana” will rise. And we will have a new cohort source of drug abuse. follow up to an earlier post in my still fledgling blog, I had an article on the national issue of overcrowding of jails at all levels in the USA of inmates with chronic mental health issues [read: chronic unremitting psychotic illnesses that require lifetime psychiatric treatment and management]. Today my ever trusty search bots on the look out for topics like this of interest to me, and to you the reader I hope as well, learned the the Federal Dept. of Justice is seeking to take over supervision or operations of the Los Angeles County Jails one of the largest county jail systems in the county. For more detail on this use this link http://bit.ly/1CNElNT. As an nudge from this writer, it is really worthwhile if you have an interest in this kind of legal action which sort of had its heyday in the Civil Rights Era of the 1960-2 and 1970’s in desegregation issues ranging from busing of school children across school districts to taking over entire states’ university systems and electoral processes. But the present tidbit that makes for interesting reading is a link contained at the end of the above link that reprints that DOJ letter of notice to the LA County Jail system.